An alleged white supremacist who was kicked out of Alberta's United Conservative Party found a new political home in Maxime Bernier's fledgling People's Party of Canada — at least briefly. Adam Strashok's name has vanished from the membership list on the "People's Network — Alberta" Facebook page, along with virtually all other evidence of his previously active life on social media. 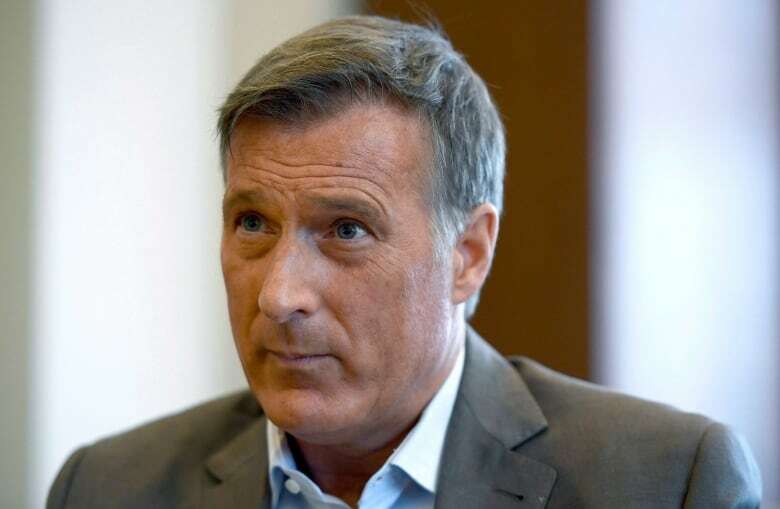 In Calgary on Friday at a People's Party of Canada rally, Maxime Bernier said the man is not involved in the party — and white supremacists in general aren't welcome within party ranks. "We want to have people who believe in our philosophy and our principles, and we have a different position on immigration ... we're not for mass immigration but at the same time we're not anti-immigrant," he said. When asked if he has concerns about white supremacists joining his party, Bernier said they do background checks and look at people's social media before they can be a part of the People's Network executive. "People who don't share our values aren't welcome in our party," he said. "We want to have serious people on the board of our riding association because we're a serious party." Earlier in the day, a party spokesman did not directly answer when asked if Strashok is still a party member and, if so, whether his membership would be revoked. "I can tell you he has not been elected to any interim EDA [electoral district association] board and, as far as we know, is not involved in organizing," Martin Masse said in an email. "These views are not welcome in our party and had we been aware of them, we would never [have] allowed him into our party, neither as a volunteer nor as an intern."